We here at Paw Planet love our pets, and we know you do too! Our goal is to offer the best products for your furry family members; from the active, to the pampered, with an eco-friendly bent. 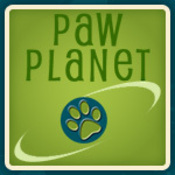 Paw Planet: It's a pet's world! On a personal note: We are owned by three cats; Gary, Mookie and Hiro. We had a heart dog for 14 years and are simply not ready to take on another quite yet. We also have two human kids; one is experiencing adulthood across the country, and the other is preparing to fly the nest. While we are not new to online and retail sales, this business is in its infancy. Be sure to check back with us often for new product. If there is something specific you are looking for, please drop us a note! pawplanet doesn't have any items in their booth!